All for paws is an American company that specializes in innovative products for dogs. This dog toy is an lemon slice that you soak in cold water and your dog can drink fresh water while he plays with the toy. This floating dog cool toy is a bone that can soak up cold water so that your dog can, whilst playing, enjoy fresh and cold water. This dog toy is a kiwi that you soak in cold water and your dog can drink fresh water while he plays with the toy. This dog toy is an orange that you soak in cold water and your dog can drink fresh water while he plays with the toy. 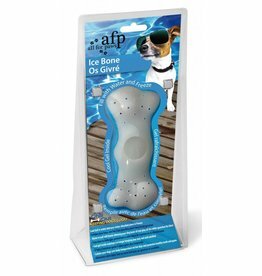 This dog cool toy i sa bone filled with water and you let it freeze in the freezer. While playing, your dog will enjoy the cold water ! This dog cool toy is filled with water and you let it freeze in the freezer. While playing, your dog will enjoy the cold water ! You place this bowl into the freezer, the gel will keep the cold so that your dog will always enjoy cold water from this bowl. 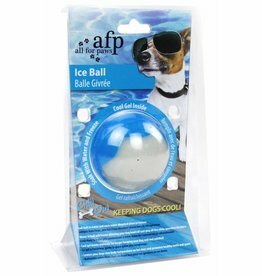 An innovative dog cool you that consists of a board and two balls, that you freeze in the freezer. While playing, the dog will lick the balls and drink the cold water. 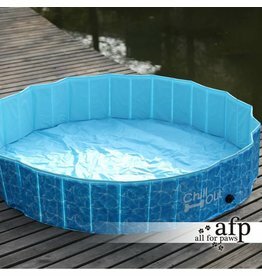 A strong and durable dog pool that can be easily folded and stored. In various sizes.